This mod adds a few creatures inspired by real life and fantasy. The main reason it was made was because I was dissatisfied with other mob mods, and Mo'Creatures isn't allowed in modpacks. It currently only adds a few creatures, but I plan on adding many more. 1. Can I use this in a modpack? 2. With the images, what gets the pretty night sky? 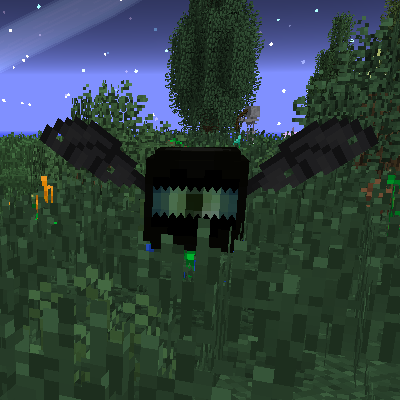 given that one of the reasons the creator gives for making the mod is that mo'creatures isn't/wasn't allowed in modpacks I'm pretty sure you can use this mod in a modpack. Could you add giant worms in the desert? and please update this mod to 1.11? If you want giant worms, i suggest the ice and fire mod. it also has trolls and hippocampi sirens and stuff. What about decompiling you jar file, to get the source code back? I really like where this mod is heading. Keep up the good work. Grimore of Gaia: Lite Edition?